CHICAGO—(November 2, 2017)— SIRVA Inc., an industry-leading global relocation and moving services provider is delivering a clear message to the Amazon HQ2 evaluation committee: SIRVA Relocation wants Amazon to know that their integrated relocation and moving solution can support all of Amazon's mobility needs throughout an office move and employee group move to their second headquarters location. With cities around the country going to great lengths to capture the attention of the Amazon HQ2 evaluation committee during the proposal submission process, SIRVA Relocation wanted to get in on the Amazon HQ2 fun. 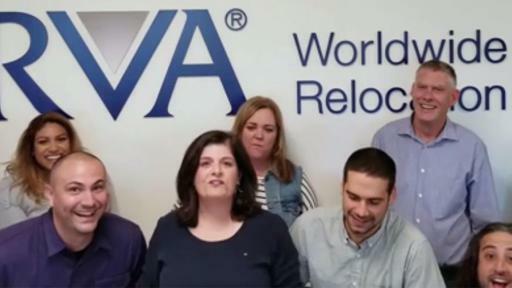 SIRVA Relocation offices and agents around the country, including Chicago, Cleveland, Dallas, Denver, Detroit and San Francisco, shared a message via video with Amazon about their decision on location of their second U.S. headquarters. SIRVA Relocation wants to ensure Amazon knows that they stand ready to move Amazon to whatever city is selected to be home to its second world-class headquarters.